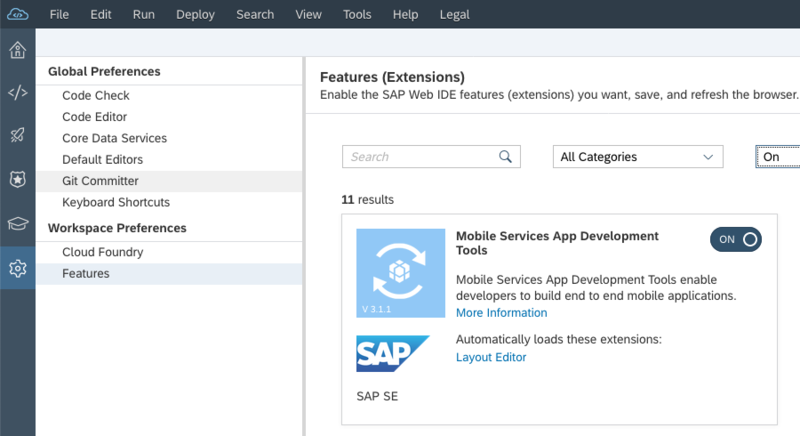 Since November SAP Mobile Cards development is enabled inside the SAP Web IDE. 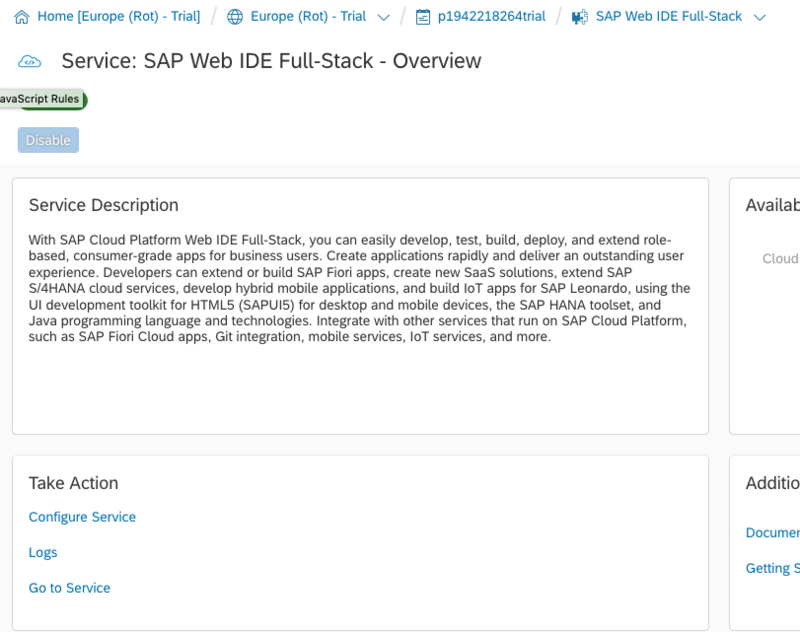 Now this enables Developers to build cards without having access to the SAP Mobile Services cockpit. Furthermore, Cards can now easily be managed inside a GIT to maintain versions of a Card and also allow multiple developers work together on one Card. To maintain a Card in GIT the following steps are needed. 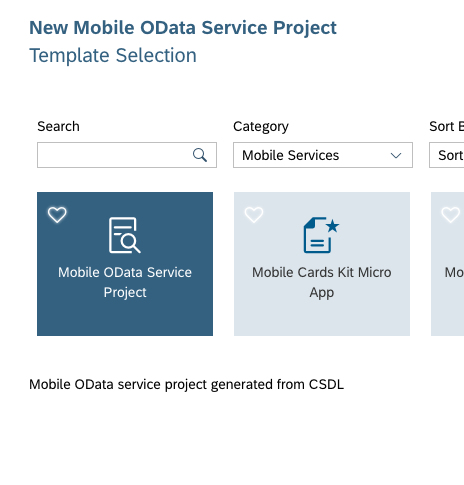 Select “New Project from Template “from the File Menu and select the Mobile Cards Kit Micro App. Click next and give the Project a Name. For simplicity just create a card from a Template. You can also import existing Cards. Click on Finish to create the Card. 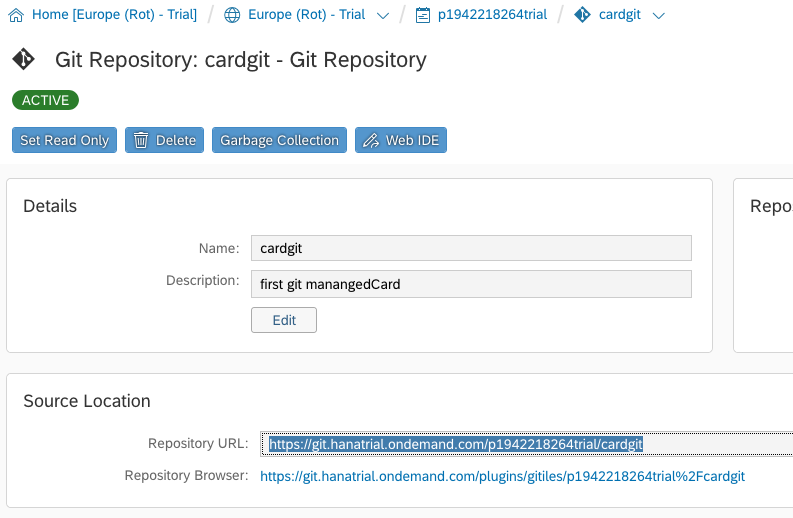 Add Git management to your Card Project via the right mouse click. 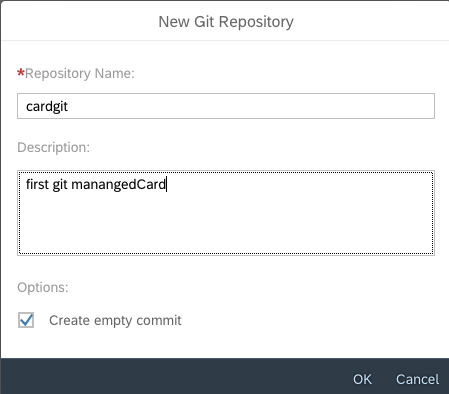 Create a Git repository to maintain the card in. 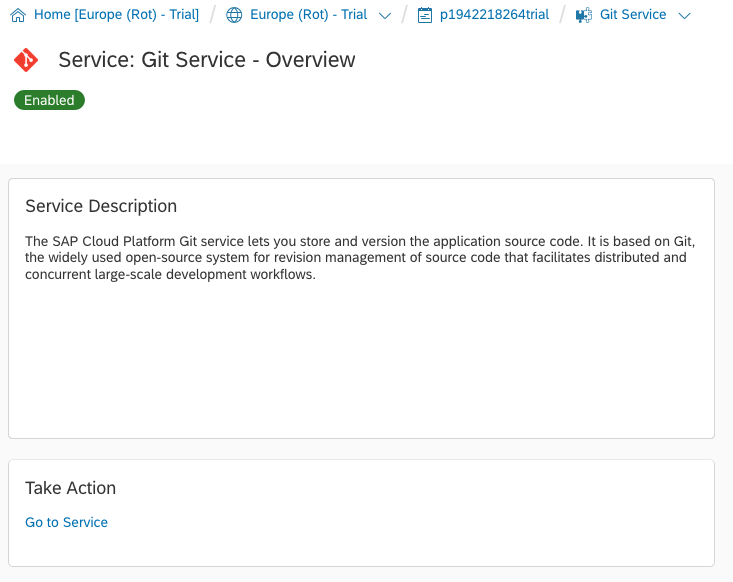 To do this go to the Git Service and click on new repository. 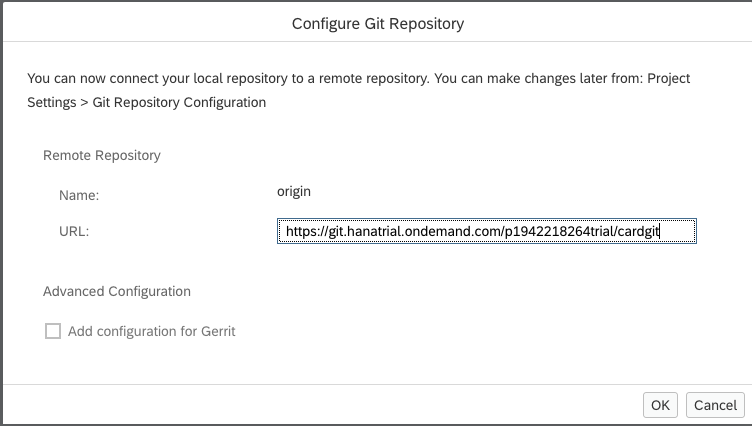 Fill out Name and Description and click OK.
Open the new created Git repository by clicking on the List and copy the Repository URL. 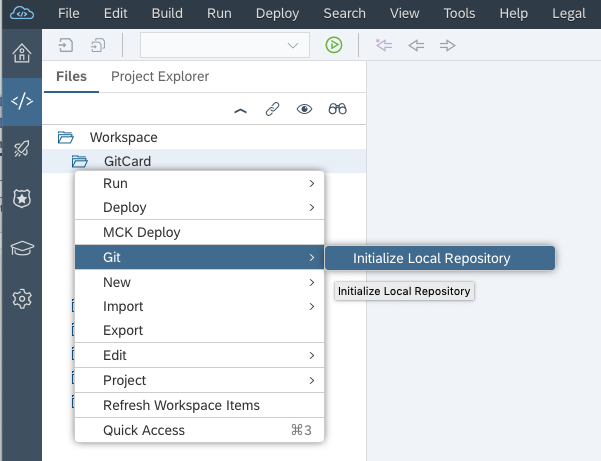 Go back to Web-IDE and right click on your project to add a remote repository to your Cards project. 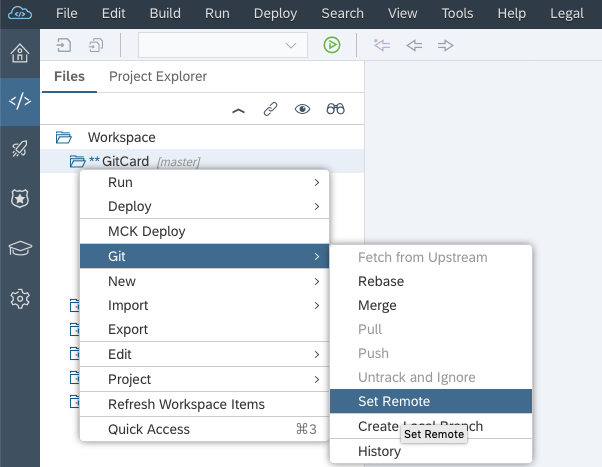 Paste the URL from your Git Repository into the URL field click OK.
After pulling, committing and pushing the latest version of your Card is managed by GIT. 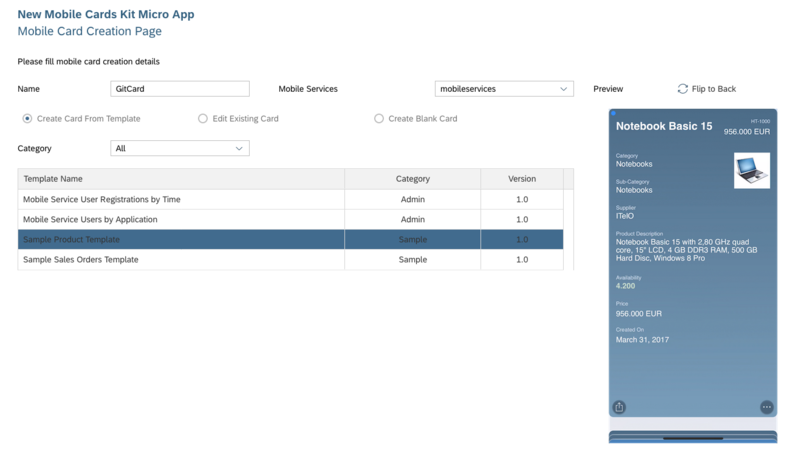 Right Click on the project allows you to deploy the latest version of the Card to SAP Mobile Services.